As you know, we can’t have a gentleman of the month without a lady of the month. 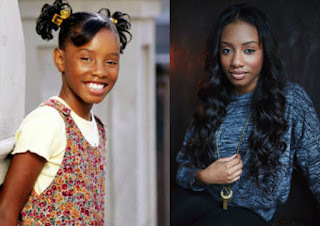 And this month we have none other than Imani Hakim, some of you may don’t know her by her birth name but if you grew up on “everybody hate Chris” than you will remember her role as Chris sassy baby sister "Tonya". 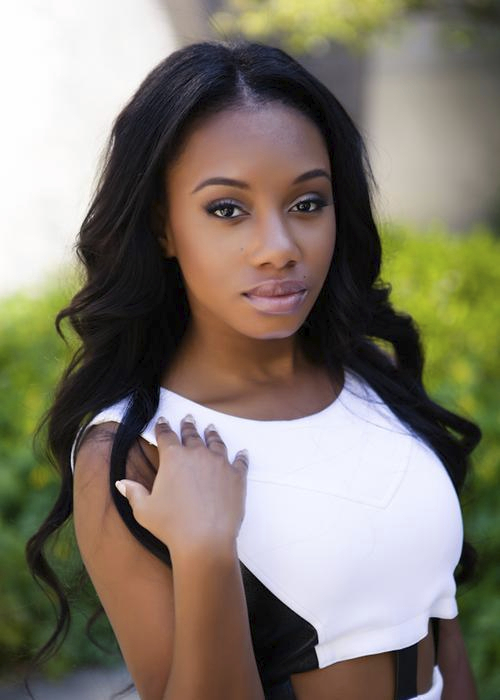 She has since grown up to be a beautiful young woman, and now she stars in Netflix new movie called “burning sands” (which is a good movie I watch it last night, and I see now I need to pay my Netflix bill cause I'm missing some good movies) in which she did a quick interview with me about the film; and she also open up her love life and more. Everyone knows you from “everybody hates Chris”, have it been hard for you to transition from that role since the have series have ended? My transitioning from child to young adult star has been an amazingly great experience. I really have to credit my parents and manager for keeping me grounded. I try to align myself with the right crowd. I do meditation, yoga, and journaling which have also been major keys in helping me during different periods in my career. What advice you would give someone that chasing their dreams in acting? Would you date someone who is in the same career paths as you? Yes, I would. Actors are beautiful people. We can be a bit over the top and dramatic, but we’re lovely and we feel things deeply lol. Do you think your career keep you from dating, and relationship? No, I’ve been in amazing relationship for the past two years. If anything, it makes it easier. My partner supports me full throttle so all I have to worry about is keeping the grind going…lol. How do you stay in your own lane without fallen into the child star curse? Producing and directing my own projects! Starring in everything! You may just get sick seeing me. What kind of men you are into? You have a new film on Netflix, can you tell us more about it? I play Rochon, the girlfriend of Zurich [played by Trevor Jackson]. Rochon is a strong and independent young queen who knows where she’s going in life. She’s also a fashion major at the University they attend. What else should we expect from upcoming this year? I have more projects that have not release date, but fans can keep up with me on social media. There is where I post future project dates.